High quality poster prints available in any quantity. 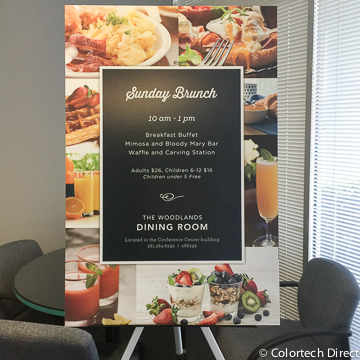 We provide the most flexibility when printing posters for clients in Houston, Spring, The Woodlands and surrounding areas. 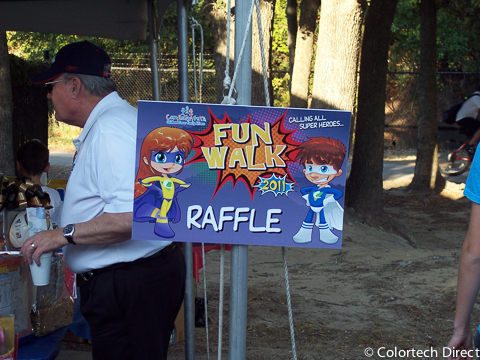 We can print from your digital file or create art work custom for your message or theme. 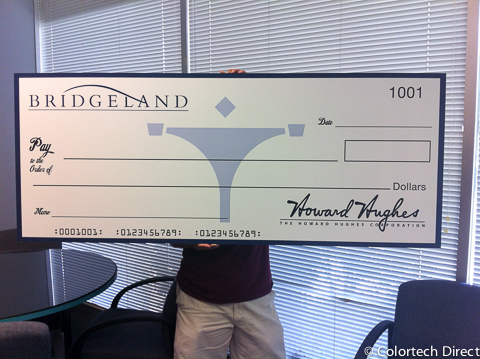 Perfect for presentations, tradeshows, events, window displays, and more. 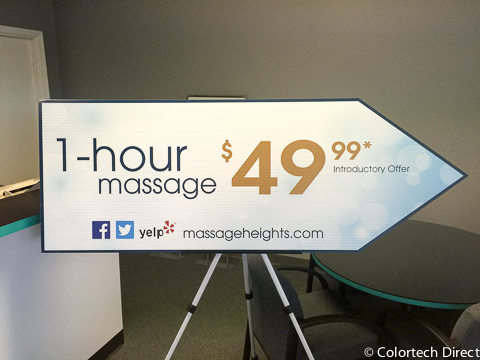 Large mounted print with matte lamination and gold foil vinyl accents applied. 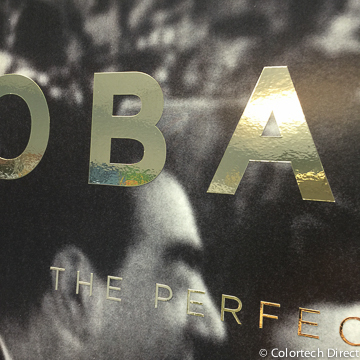 Close up of gold foil accents applied to mounted print with matte lamination. 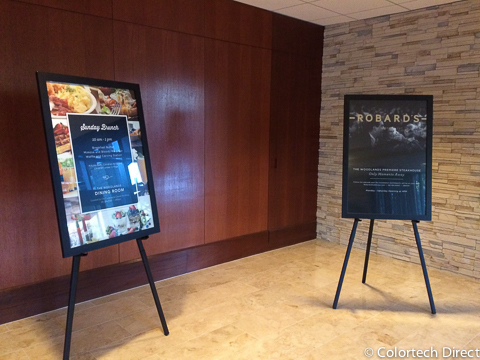 The black and glass frame really dress these mounted prints up, shown on location at The Woodlands Resort. 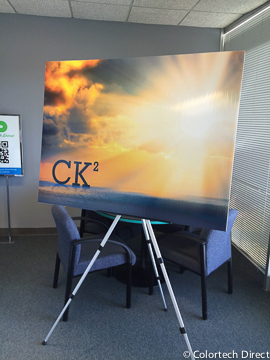 Mounted print with matte laminate. Mounted print on 1/2 inch coroplast. 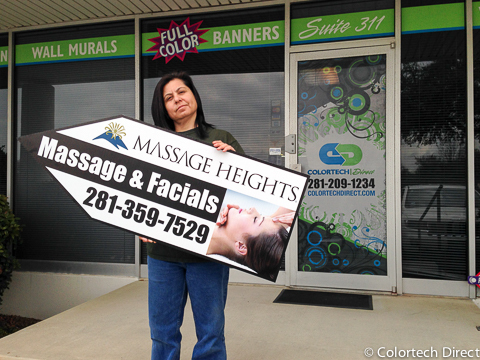 Adhesive vinyl print mounted to 3/16 inch coroplast. 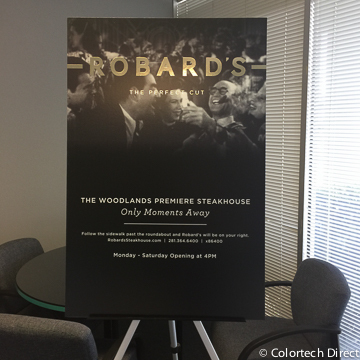 For prints that will be used primarily outdoors coroplast is sometimes a better option than foamboard so humidity does not warp the board. 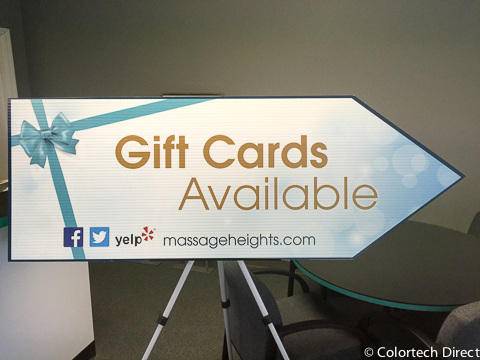 Hand held sign for a street side sign spinner. We sand all the edges as much as possible to avoid rough spots. 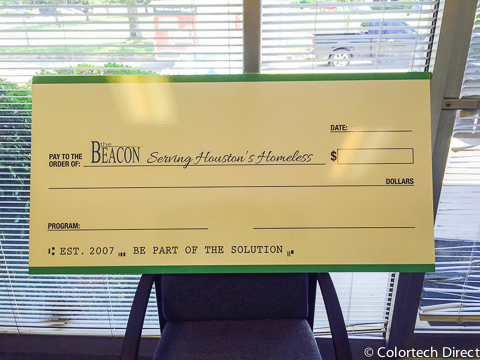 This check features a dry erase over-laminate that can be used multiple times. 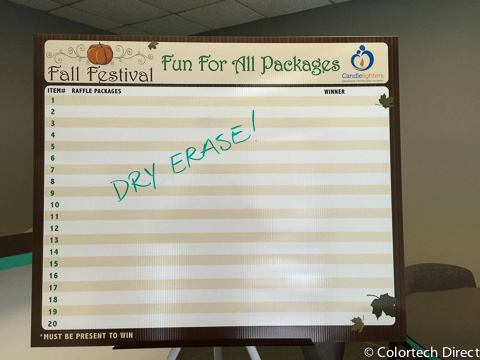 This raffle board features a dry erase over-laminate that can be used multiple times. 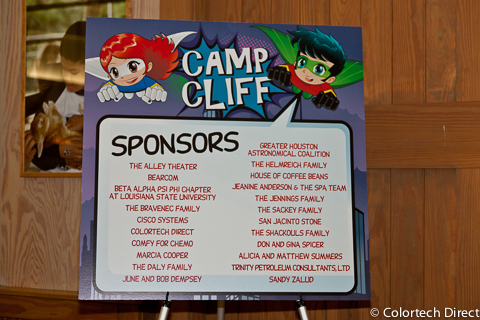 Sponsor recognition and thank you print mounted to foamboard. 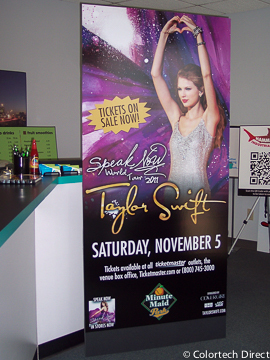 This Taylor Swift promotional print is a full 4x8 sheet with a high gloss lamination. Photo prop! 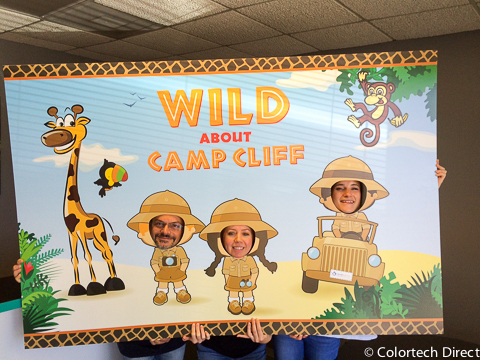 This photo prop was used at Candlelighters Camp CLIFF. 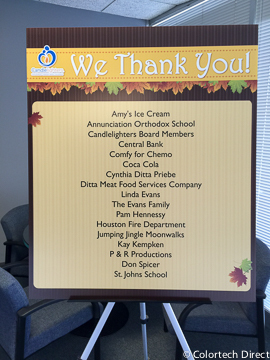 A sponsor thank you and recognition print mounted to 3/16 inch coroplast.